There’s action involving Chichester City Colts and Bognor Town teams in our latest youth football round-up. Bognor dominated from the off with great passing football. The deadlock was broken by Jack Parkinson with a well-converted finish. Will Lintott added a second and Jack Parkinson won a penalty, but it was not converted by Joe Bennett. This didn’t affect Bognor’s morale as the defence held strong. Grabbing his second of the match was Parkinson with a well-placed finish. Lintott added another, catching the end of a shot by Parkinson which was saved. Theirs is a partnership that has been working well for Bognor throughout the season. The match was put to bed by Parkinson completing his hat-trick by getting on the end of a Lintott cross. BOGNOR: Scott, Bain, Mockford-Allot, Lechkofski, Hauxwell, Haga-Hammond, Wallers, Bennett, Swanson, Greece-Harber, Maple, Parkinson, Lintott, J Pardey, Van Driel, Hambleton, Humphries. Ratton played extremely well from the start in this cup quarter-final and were playing a fast free-flowing game which Colts couldn’t live with. Within the opening ten minutes Colts were 1-0 down having been camped on the edge of their 18-yard box and struggling to clear when a Rangers forward unleashed a great effort into the bottom corner. Colts didn’t give up, but Rangers were pressing Colts high up the pitch, causing Colts to make unnecessary errors. One soon became two and then three. Colts spirits’ were intact but confidence and self-belief had been drained and right on the stroke of half-time Ratton added a fourth. The Colts management tried to pick up spirits and changed the shape and personnel going into the second half. Colts started well, but were undone when Ratton scored the fifth from another free-kick. Colts stuck to the cause and gave a better account of themselves in the second half and were unlucky not to score on a couple of occasions. Rangers scored the sixth and seventh as Colts pushed on to try for a consolation. COLTS: Williams, Newton, Angell, Rochester, Simmons, Nicol, W.Parker, Nicol, J.Jones, Peake, Watkins, T.Parker, Clayton, Craddock, Hamblin. Bognor took the lead from a superb Bruce Eggleton free kick. This was quickly followed with a goal by Nat White. Bognor were dominating the game and a Jack Tilbury shot made the score 3-0. Eggleton hit an unstoppable shot from the edge of the penalty area to increase Bognor’s lead. A fine turn and strike from Will Jones made the score 5-0 to round off an excellent first half from Bognor. 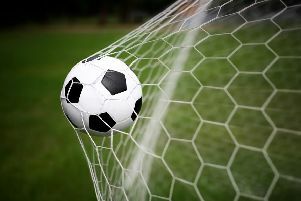 The second half was end to end as Chichester threw players forward but Bognor scored a sixth after Josh Boyagain nudged the ball over the line from close range. Chichester scored two late consolations but Bognor move 12 points clear at the top of the league. BOGNOR: Amoo, Bennett, Boyagian, Budge, Eggleton, Fearns, Jones, Lush, McGuigan, Parr, Rawlings, Stroud, Taylor, Tilbury, White.